The Park & Ride in DWG is a big trouble spot. During the week it is packed with commuters and on the weekends the space is used by visitors and those accessing the park via the free shuttle service. It is a great offering to the community. One that encourages carpooling and mass transit, however, it also attracts litter. There used to be garbage cans here, but they were removed after continued abuse. People were dumping household waste and even large pieces of furniture. We are working with PennDot to keep this area safe and beautiful for all that use it while also educaitng the masses about the environmental impacts of littering. Please join us to get this area clean and tidy. Quarterly Clean Up Dates will be announced on Face book and at the studio. • Private counseling and support groups: for domestic violence, sexual assault, and adult survivors of child sexual assault. 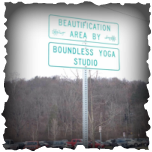 Boundless Yoga Studio will continue to be a drop off site for canned goods and dry goods for the Oasis of Love Food Bank, in Stroudsburg, PA.
No one should ever have to go hungry and we are committed to supporting our local community. A.W.S.O.M. seeks to accommodate homeless, neglected, or abused animals in Monroe county to shelter them and then pair them with loving families. 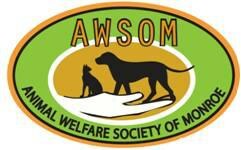 They strive to end the pet over population that leads to abuse and neglect with a local spay and neuter program.